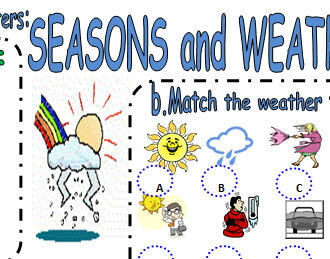 If you are about to teach the topic Seasons and Weather this worksheet is just for you! 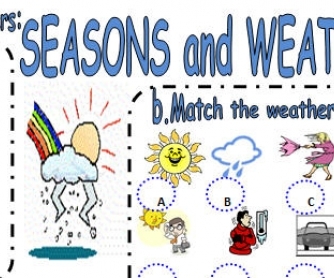 There are three pages, and you can practice everything connected with these topics. "TO BE, CARDINALS, ORDINALS, SPELLING and many other things. I tried to make it as much interesting as possible. TRY it! I hope you like it!